Achieving these goals is a lot easier than many folks believe. It all starts with a home energy check-up, which is also referred to as an energy evaluation, assessment or evaluation. Dr. Energy Saver recommends an energy check-up for every house because like any good doctor, we know that it's malpractice to prescribe treatment before completing a thorough diagnosis of your home. Contact us today to begin your savings! Schedule a home energy evaluation in Stamford, Norwalk, Hartford, New Haven, Danbury, Greenwich, Darien, New Canaan, Westport, West Hartford, Ridgefield, Hamden, Bridgeport, Waterbury, New Britain, Bristol, Meriden, Trumbull, Milford, Cheshire, Stratford, Shelton, Glastonbury, Monroe and throughout Connecticut. We are your trusted resource to understand the problem areas in your home and best way to fix them! Get our free book, "Saving Energy and $ at Home" when you sign up for a Dr. Energy Saver Home Energy evaluation. Call or email today to schedule your home energy evaluation. Some energy-saving improvements will actually improve your home's indoor air quality. For example, leaky ductwork can actually cause your HVAC system to distribute air from crawl spaces, basements and attic spaces throughout your living area. These same leaks can cut your HVAC system efficiency in half. To stop breathing "bad" air and wasting energy, you may just need one or two improvements from Dr. Energy Saver. Schedule a Home Energy Evaluation Today! Contact us today to schedule your home energy evaluation in Connecticut. 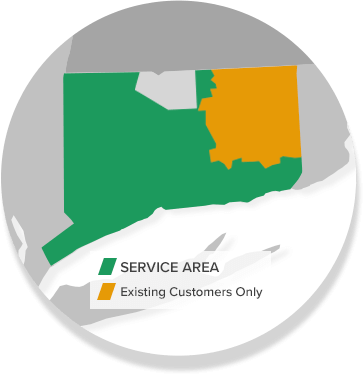 We proudly service throughout Connecticut including Norwalk, Danbury, Stamford, Greenwich, New Haven, Hartford, New Canaan, Westport, Darien, Ridgefield, Hamden, West Hartford, Bridgeport, Waterbury, New Britain, Bristol, Meriden, Trumbull, Milford, Cheshire, Stratford, Shelton, Glastonbury, Monroe and all surrounding cities and towns.